One of the pioneers in web self-services wanted to clearly demonstrate its solutions while converting more visitors into leads. 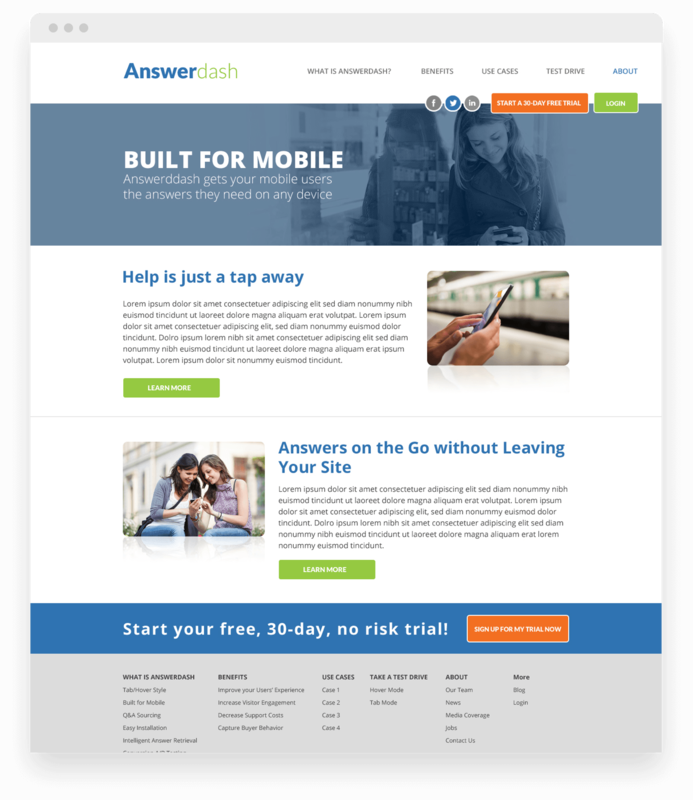 AnswerDash is changing the way websites provide help to their web and mobile visitors. 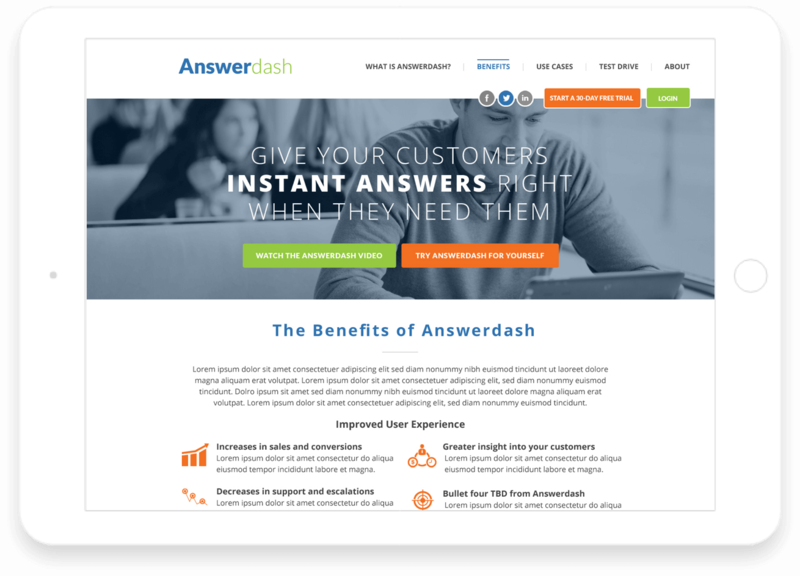 A venture-backed startup out of Seattle, AnswerDash provides a point-and-click interface that allows any website to quickly and easily provide real-time, contextual help based on proven university research to visitors. Today’s online users want to help themselves; with AnswerDash, websites create a first-line, self-service approach to reduce costs and churn, increase sales, and, most importantly, create happy customers. With minimal investment on a website’s part, AnswerDash makes giving out answers to customers a huge asset for any company. AnswerDash set out to solve a problem experienced by almost every user on the internet. It noticed the frustration caused by users searching for answers about products and services that were forced to venture into the depths of support pages to answers that were never quite right. To AnswerDash, the solution was simple: provide contextually-relevant Q&A in the very location where it’s needed most—no matter the topic, no matter the location on the page. We’d definitely recommend SmartBug Media. They took a basic concept, layered inbound marketing best practices on it, and brought it to life." An Amazing Idea. A Small Team. Propelling a young company with only one of 11 employees strictly focused on marketing can be daunting. There’s simply not enough inbound marketing to go around. The challenge at AnswerDash was twofold: rebrand the company from Qazzow to its current name, and at the same time, optimize the company’s website to generate new leads for their recently launched service with software-as-a-service (SaaS) providers across many verticals. It was critical that every page on the website was geared to drive new leads and customers. Like many early-stage companies, AnswerDash’s focus was on proving the concept and acquiring key, high-profile customers. As a result, its website suffered. AnswerDash had worked with several inbound marketing agencies to help enhance their website’s capabilities—each yielding the same unsatisfactory results. HubSpot’s secure, speedy COS is the first integrated website, blog, and landing page system to be optimized for mobile right out of the box and leverage all the power the HubSpot offers around analytics, marketing automation, social media and many other core marketing applications. 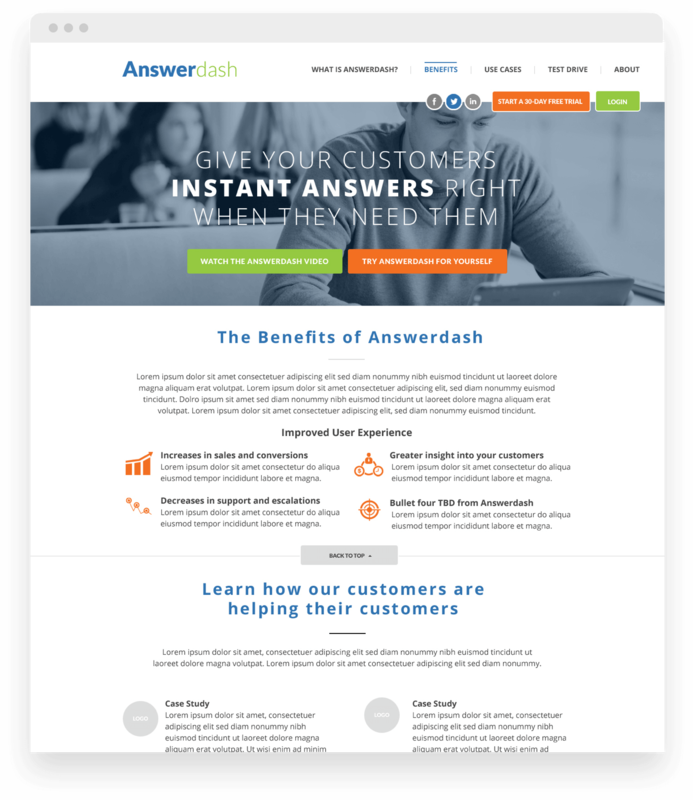 With a goal of having the flexibility to make website updates without having to involve engineering, AnswerDash quickly became adept at updating content, creating landing pages, blogging, expanding social media efforts, and boosting development opportunities. 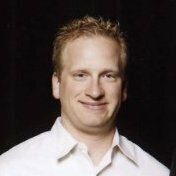 AnswerDash realized a 10% growth in web traffic 60 days after its migration to HubSpot COS.
That’s on top of a 60% month-over-month lead growth, a number AnswerDash expects to climb once it fully leverages its new website. The most astonishing growth has occurred in AnswerDash’s social media efforts. Social media presence grew 55 percent since the launch, using Twitter, LinkedIn, Facebook and Google+.